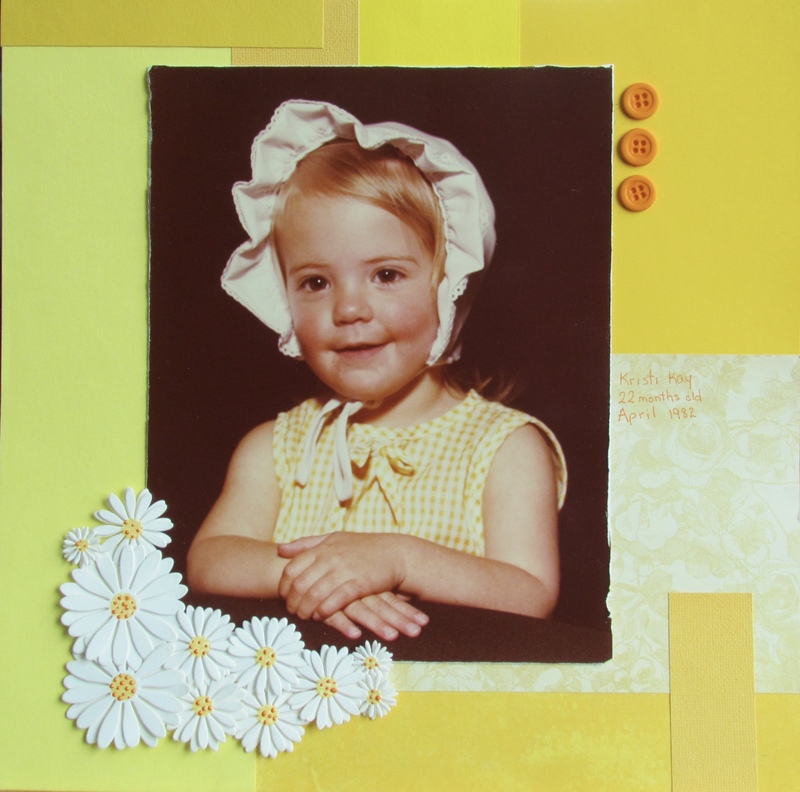 With a background made of scrap yellow pieces I was challenged to find a photo or photos that would work. I found this one of my daughter Kristi when she was a little girl and the flowers just fit! Adorable!! The daisies are perfect for your sunny LO of Kristi. Love the background design, flowers, and adorable photo! Interesting scrap background....what a great idea. Love how it turned out too!!! What a cutie! Sweet little girl in her bonnet. The papers and flowers do fit well!